As a devoted fan of all things Android, I’ve tested a lot of different smartphone and tablet products in my time. As an average citizen, however, I don’t have access to every new product before, or after, it hits the shelves, like some people do. My range of expertise is limited to the products I’ve actually bought, and those I’ve spent hours toying around with at my local electronics store. In that regard, I do believe I’ve got quite a bit of experience, but nothing like the tech gurus at CNET. These people live and breathe electronics, and are often given first crack at them before they even go to market. Anyone looking for top tier products, in a range of price points, would do well to seek their advice, just as I have in today’s assessment of the best Android tablets of 2017. CNET has named a number of Android tablets in its latest review, published on August 11, 2017. As always, they offer a wide variety of price tags to suit all budgets. In this case, the top three best Android tablets range anywhere from $299 to $719 (MSRP / USD). First things first, this Android treasure won’t set you back nearly so much as the US$719 MSRP suggests, so long as you shop around a bit. It’s currently available at a number of websites for $599. 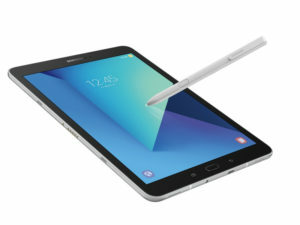 CNET ranked this tablet highest on the list for its pristine, AMOLED screen and “buzz-worthy features”. These include the S Pen, HDR support, fingerprint sensor and loud quad-speaker volume, among others. However, the lack of a bundled keyboard – especially at such a high price point – lost it a few marks overall. It was also noted that HDR content is supported, but not yet available, and “large games take time to load”. 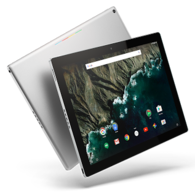 The Google Pixel C tablet launched with an MSRP of US$499. It was quickly lauded by just about every tech reviewer in the world as the absolute best Android table of 2017, packing in top-notch display, features and performance. They flew off the shelves, and drove the price up well above its starting point. Even Google.com sells this tablet for US$599 (a $100 mark-up), while Amazon charges about $650. Part of any Google tablet’s allure is its inherent right to receive Android updates first. Throw in superior features like a bluetooth keyboard (optional), powerful battery, lightning fast performance and stellar display, and Google Pixel C sets the bar for all tablet competitors. 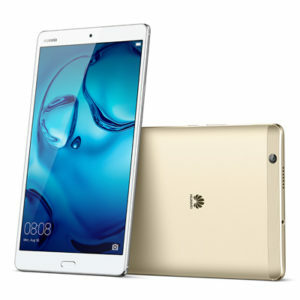 If you love the size, shape and weightlessness of the iPad Mini, but can’t bear to leave Android behind (or pay the hefty price), CNET rates the Huawei MediaPad M3 as the number one alternative. For once, the MSRP of US$299 holds true, as that’s what you can expect to pay for it at most retailers. Like the Google Pixel C, it has a “stylish and sturdy aluminum design”, while incorporating the security-wise fingerprint sensor of the Samsung Galaxy Tab S3. Although not quite as feature-rich, it’s equally powerful as the iPad Mini that it so-closely resembles, yet retails for 33% less. For budget buyers who still want top-quality, this is CNET’s top pick for the best Android tablet of 2017.